A compelling drama about the thunder and lightning of Frederick Douglass and Susan B. Anthony's tumultuous four decade friendship. 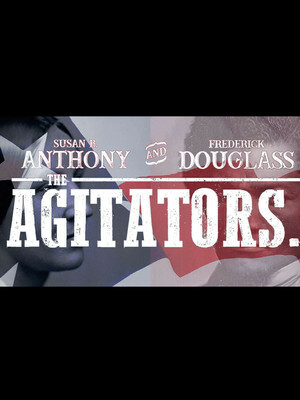 Gloucester Stage continues their 39th season and its theme of strong, empowered women with Chicago playwright Mat Smart's The Agitators, the riveting true story about the at-times-tumultuous relationship between social rights reformers Frederick Douglas and Susan B. Anthony. Smart's amusing, well crafted dialogue, moving sequences and dramatic moments punctuate a thrilling tale of friendship, betrayal and reconciliation that brings fascinating history to life, its themes still ringing true today. Having met as youngsters in 1845, former slave Douglas and Quaker Anthony were already gaining notoriety as abolitionists, initially bonding through their shared desire for social change and fighting spirit. 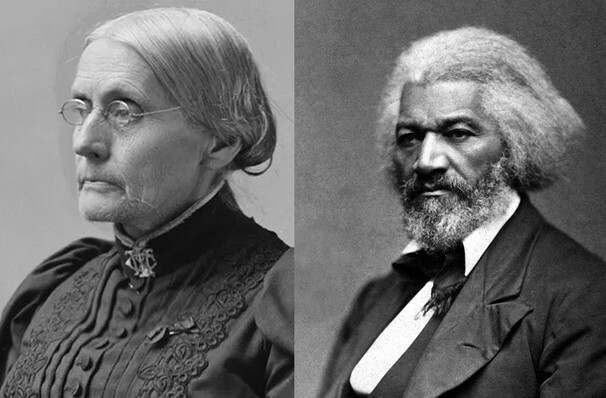 A deep kinship formed, yet over the years their paths diverged and often clashed - Anthony's advocacy of women's rights and their right to vote may not have been the top of Douglas' agenda, which was the freedom of people of color first and foremost. This earnest and insightful retelling of the two historical pioneers draws fascinating and often uncomfortable parallels with today's social injustices. Seen The Agitators? Loved it? Hated it? Sound good to you? Share this page on social media and let your friends know about The Agitators at The Gloucester Stage. Please note: The term The Gloucester Stage and/or The Agitators as well as all associated graphics, logos, and/or other trademarks, tradenames or copyrights are the property of the The Gloucester Stage and/or The Agitators and are used herein for factual descriptive purposes only. We are in no way associated with or authorized by the The Gloucester Stage and/or The Agitators and neither that entity nor any of its affiliates have licensed or endorsed us to sell tickets, goods and or services in conjunction with their events.